I use my macbook like desktop (always connected to electricity) 95% of the time, so I never noticed this before. However, I had to use it on battery last few days and it surprised me how short the battery charge lasts. My macbook isn't new (about 2 years) but I would still expect it would last longer than 2 hours doing nothing but displaying static web pages. I googled a bit about this, but I didn't find any screenshot that would show terminal app with such high impact and that got me worried. Is it possible there is something wrong with my system? I can't find any Terminal app running anywhere. 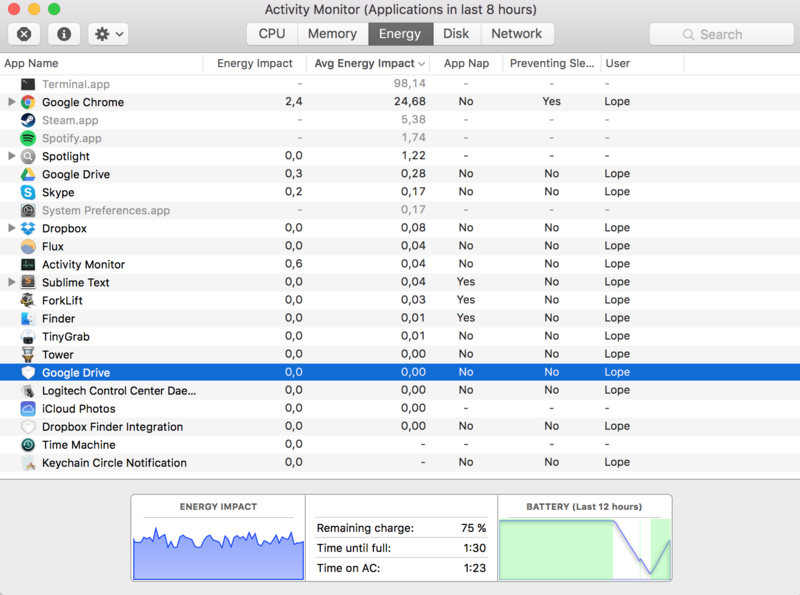 Browse other questions tagged macos terminal activity-monitor power-management .